I layered it over 2 colors, check check check it out! I really like how different Erica can look over 2 different colored polishes. Like, over Essie Mojito Madness it looks more green but, over Sinful Colors Nirvana it looks more blue. But what is this glitter truly made up of? 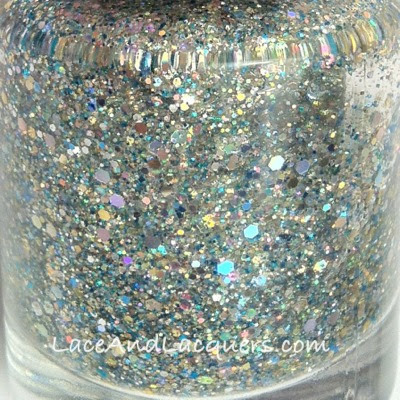 Multiple sizes of glitter in gold, silver, light green, a darker green/teal color, and some iridescent. I did 1 thicker coat over each swatch above. 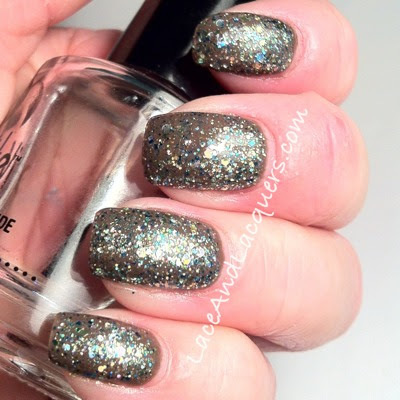 Like most Shimmer glitter bombs, Erica dries rather smooth and does well with one coat of Seche Vite. I hope you enjoyed this pretty glitter! To find out more about Shimmer you can find Shimmer Polish on Etsy! Her polishes are $12/bottle, but I'd say it's worth every penny for these glitters. You can also visit her Facebook page, here. 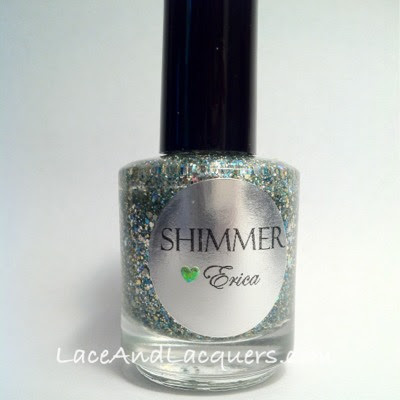 If you would like to see other Shimmer Polishes I've reviewed, check here! Awesome! Totally loving it over Nirvana. OUUU! Thanks for the multiple shades :) <3 it.